Learn iconic songs from Metallica, Christina Aguilera, Ray Charles, The Beatles, Adele and Tom Petty. 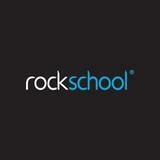 Welcome to Rockschool Acoustic Guitar Grade 1! We've recorded these lessons with the original Rockschool authors and London's foremost guitarists - Andy G Jones, Carl Orr and James Betteridge - to help you master the songs from the 2016 Rockschool Acoustic Guitar syllabus. By the end of this course, you'll be able to play iconic songs from the likes Metallica, Christina Aguilera, Ray Charles, The Beatles, Adele and Tom Petty. You'll also Understand the theory behind the songs and be comfortable playing dozens of relevant new scales, chords and arpeggios. 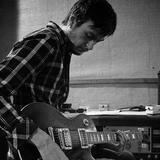 This course is ideal preparation for guitaritst who want to ace their Rock School Grade 1 Exam. For guitarists not taking the exam, the syllabus is a perfect way to learn solo acoustic guitar arrangements of some of the most famous contemporary songs to perform live or for your own personal satisfaction and musical advancement. This course is ideal for beginner guitarists, who want to learn a few iconic Rock and Pop songs as well as fundamental techniques needed become a skilled guitarist.